"MODE GAKUEN FOR STUDYING FASHION IN JAPAN." I JOINED THE SCHOOL THAT A JAPANESE LANGUAGE SCHOOL TEACHER INTRODUCED TO ME. My mother has significant influence on my facination with Japan. My mother has travelled all over the world, and Japan was a country she talked to me about the most as "the best country she had ever visited." She told me that I should study in Japan, because it was one of the safest developed countries and has an Asian culture that is familiar to us. I went to Japanese language school in Malaysia, then decided to come study in Japan. It was a teacher at Japanese language school that suggested Mode Gakuen to me. I was interested in Japanese fashion and girls’ culture – which suits my generation. I read a lot of women&apos;s fashion magazines such as “ViVi” and “with”. My teacher saw that and told me I should go to Mode Gakuen if I wanted to study fashion! THANKS TO THE SUPPORT FROM MY CAREER ADVISOR. 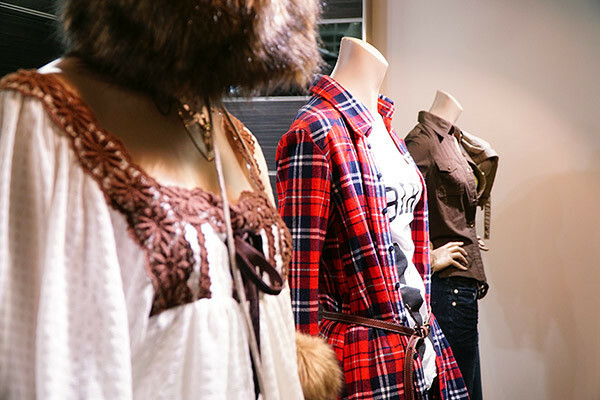 Mode Gakuen has many departments where you can study fashion, but I chose the Fashion Business Department because I wanted to gain skills to fulfill my dream for the future. My dream is to one day start up and manage my own brand. 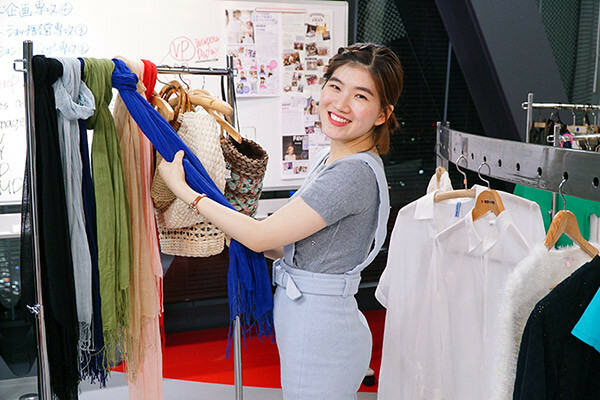 When I shared my dream with the international student coordinator at Mode Gakuen, I was advised that the Fashion Business Department would suit me best, as I could learn about branding, web sales planning and other things for managing a store. I have been very satisfied with the curriculum, gaining business management knowledge and customer service skills. I am truly grateful for the depth of support from the career advice teacher. It was this teacher who kept a file of suitable job postings for me, called up companies I wanted to have job interviews with, arranged selection and interview schedules for me, and passed on job-seeking information to me almost every day. And thanks to this teacher thoroughly following up with interview practice in Japanese, I was able to attain an unofficial job offer from a Japanese company. The company that has unofficially offered me a job is a Japanese brand that deals with bags, purses and other leather goods. I think the first few years at the company will be my "time of gaining experience for the future." I want to be asked to create my own plan as soon as possible! I want to one day run my own brand store! But first, I want to work steadily towards these goals one step at a time, little by little, no matter how small the tasks are. There are many international students at Mode Gakuen, and all the Japanese students are very nice people, so there is no need to worry, such as "What if I couldn’t make any friends...?!" Even if you are not very confident in your Japanese at first, be assured - everyone around you are happy to speak slowly to make sure you understand them.